How to gain 10–20 pounds—even if you’ve failed a dozen times before. It includes everything you'll need to know: a full diet, workout, and lifestyle guide, a video course teaching all of the exercises, a recipe book that helps you eat more, exclusive access to the Bombshell community, and a progressive workout program. How to use supplements as a skinny woman to gain weight more predictably, improve your health, get your BMI up faster, get leaner (if needed), and improve your strength by nearly 50%. 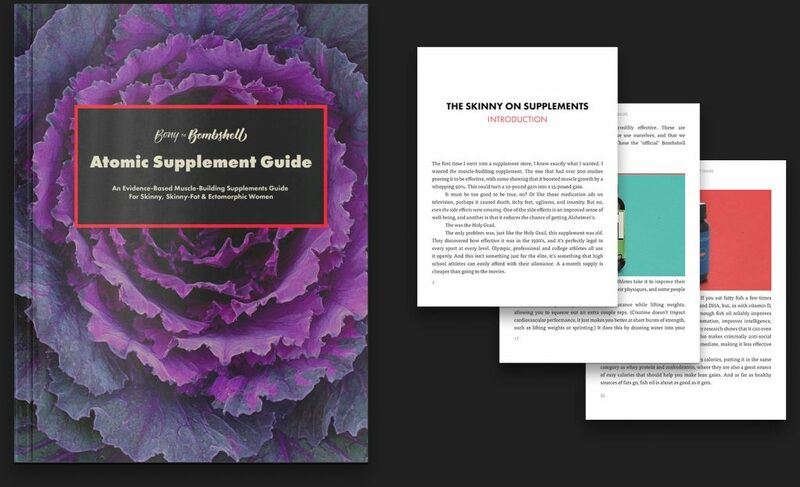 You'll also learn about the 4 Atomic Supplements, 10 great situational supplements, the 9 popular supplements to avoid, and more.